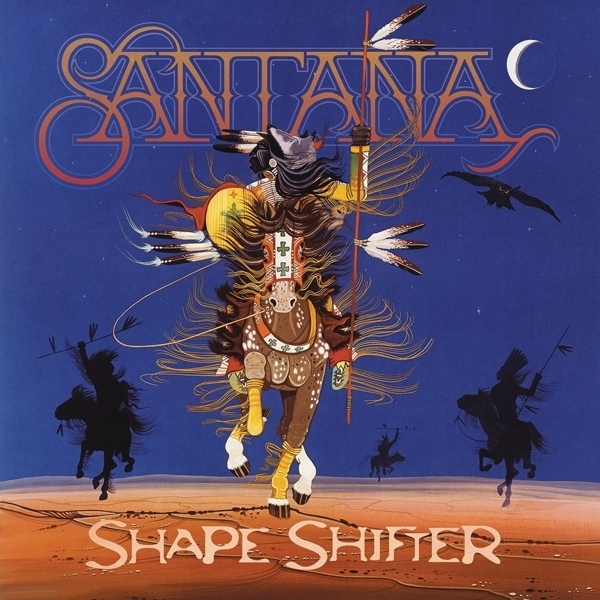 Today, May 15, 2012, marks the release of Shape Shifter, the latest album from Santana-and the first for Carlos Santana's new label Starfaith Records. The 13-song set is an instrumental tour de force long awaited by fans (one song features vocals by Santana's lead vocalists Andy Vargas and Tony Lindsay). The album also features Chester Thompson on keyboards, Dennis Chambers on drums, Benny Rietveld on bass, Salvador Santana on keyboards, Raul Rekow on congas and Karl Perazzo on percussion. Comprising mostly original compositions that Carlos has been setting aside for such an instrumental project, Shape Shifter's specially chosen tracks flow together as the magical sustain of his guitar and the spirit behind every note creates music that defies all cultural and language barriers-the music of Santana. In that spirit, Carlos dedicated the album to Native Americans, acknowledging Australia's 2008 apology to the Aborigines, and President Obama's signing of the 2009 Native American Apology Resolution. He says, "I encourage any and all countries (that have not as yet done so) to acknowledge the first people of their land, and make this a collective global effort." I've been a HUGE Carlos Santana fan since I bought his album "Supernatural" in 2001 and this album "Shape Shifter" just made me an even bigger fan. It is hard to believe that Carlos Santana has been in the music business of over 40 years since it appears that his music just gets better with time. And along with his wife, Cindy Blackman, Santana has even added the title "style icon" to his list of achievements with his new line of clothing for Macy's. The CD's title cut Shape Shifter, which is a tribute to the American Indian, is a beautiful composition with driving drumbeats set to Santana's signature guitar. The song Macumba in Budapest starts out lulling you with calming imagery of the ancient Hungarian city and then makes you get up out of your chair and dance. And my favorite song of the entire CD, Eres La Luz, had me singing along with the vocalists as they rang out words of love in Spanish and Santana "made that guitar cry". If you are a Santana fan, you will love this new CD "Shape Shifter". And if you have never followed the music of Carlos Santana in the past, "Shape Shifter" will be a perfect introduction to this guitar master. Five (5) FREEISMYLIFE readers will each win a copy of Carlos Santana's "Shape Shifter" CD. This giveaway has a retail value of $10 per prize - HOLLA to the FREE. - This giveaway is open to US residents only. - The contest ends on Friday, May 25, 2012 at 11:59 am EST. 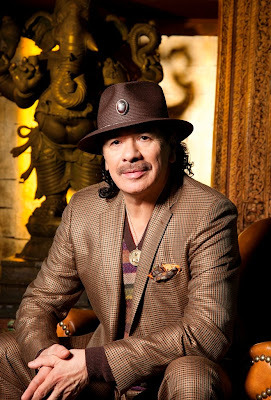 - You can get 1 extra giveaway entry for following Carlos Santana on Facebook. - You can get 1 extra giveaway entry for following Carlos Santana on Twitter. - You can get 1 extra giveaway entry for tweeting the following message on Twitter "I entered the @freeismylife GIVEAWAY to win the @CarlosSantana CD Shape Shifter http://bit.ly/JBkGXk "
Disclosure: Stachmedia is providing the prizes for the this giveaway. All opinions are my own.